Download Restaurant Cafe Menu Tri-Fold PSD Brochure for Free. This Restaurant Menu Brochure is available for free to download. 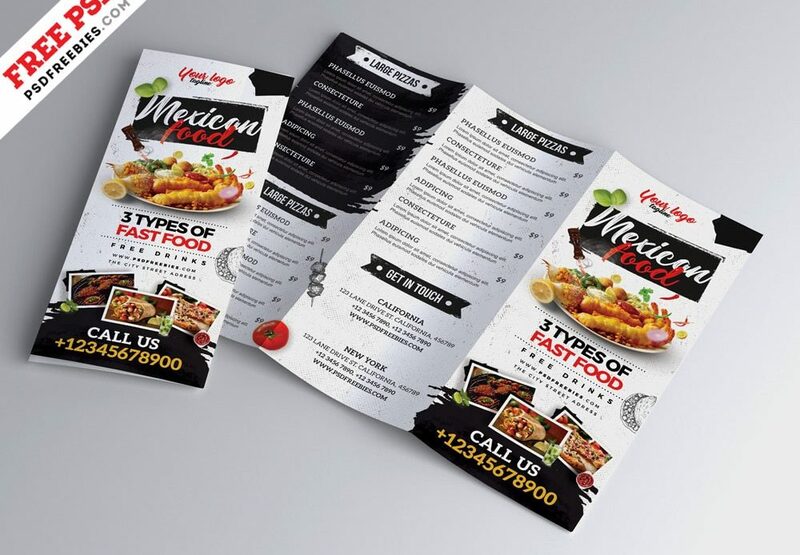 This Restaurant Cafe Menu Tri Fold Brochure PSD download contains a two A4 size (front and back) 300 dpi print-ready CMYK psd files. sending an email to info[email protected], asking that we stop sending you marketing communications or by including the words “OPT OUT”.